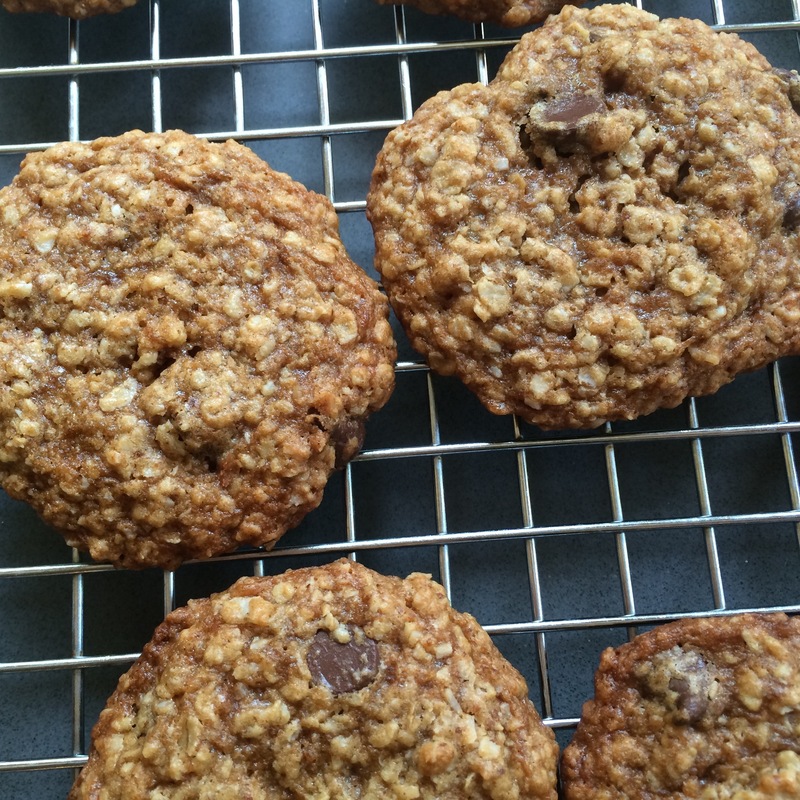 This recipe is a healthier redux of my mom’s oatmeal cookie recipe from her high school home ec class. Listen: We’ve been enjoying banjo music at our house lately. Try Steve Martin and Edie Brickel’s “Sun’s Gonna Shine” from their 2013 Love Has Come for You album, or if you’re feeling more banventurous, dig in to Bela Fleck and Abigail Washburn’s “Railroad” from their eponymous 2014 album. Sip: Try a mango lassi made with coconut yogurt to stay dairy free or a cup of peppermint tea brewed by pouring hot water over fresh mint leaves and then straining after steeping to your desired level of mintiness. 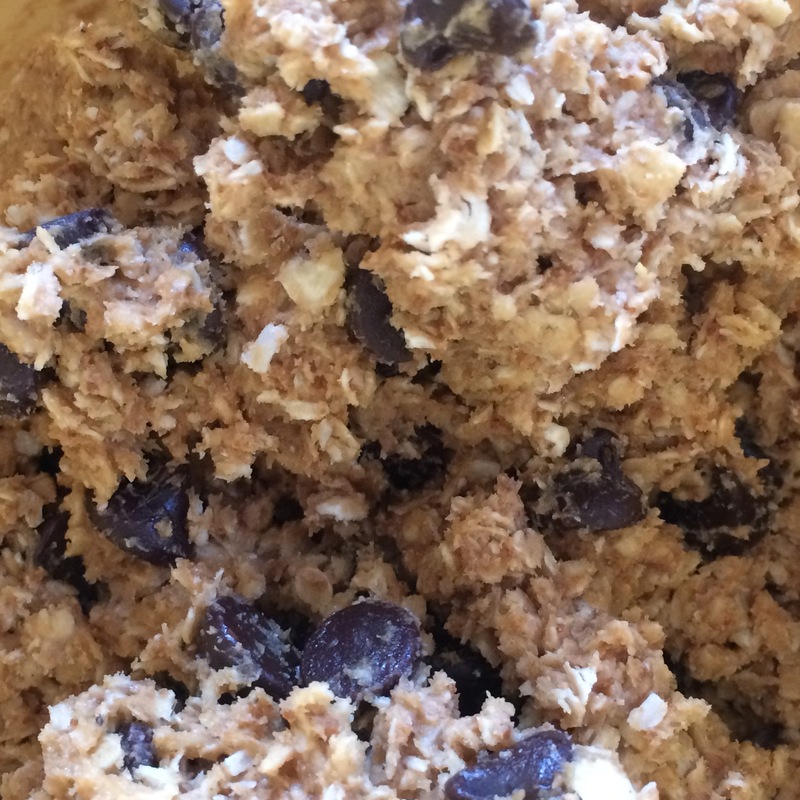 This batch includes coconut and dark chocolate as the add-ins…yum! Preheat the oven to 375 degrees. Blend the sugars and oil until smooth. Add the egg and vanilla and blend well. Add the flour, baking powder, baking soda, salt, and spice of choice. Stir well, and then add the oatmeal and add-ins of choice. Drop by rounded tablespoon onto parchment-covered baking sheet. Bake for 8 minutes. Transfer to a wire rack, and enjoy. This small-batch recipe makes approximately 3 dozen cookies. ← Fig Apple Sauce–sugar free!